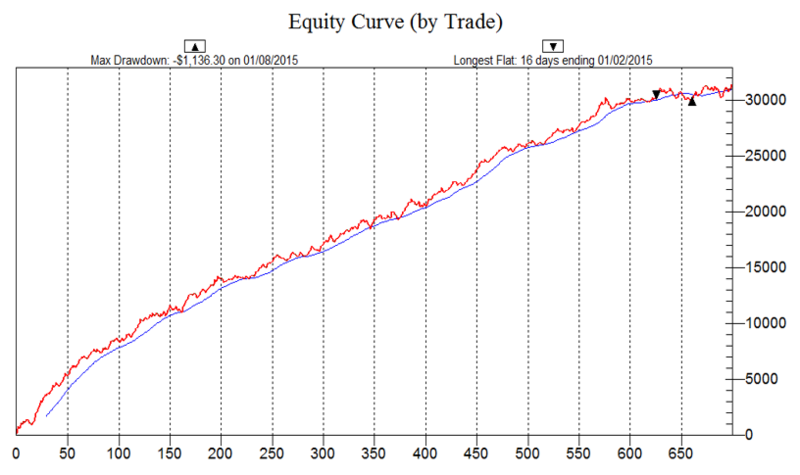 strategies working best in today’s e-mini market workshop replay - Trading Concepts, Inc.	strategies working best in today’s e-mini market workshop replay - Trading Concepts, Inc. 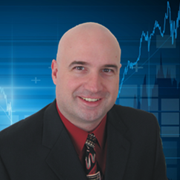 Learn To﻿﻿ EARN A Consistent DAILY Income In The First Hour of Trading​! The ﻿Opening Bell Income Strategy﻿﻿﻿ is a Proven, Documented, Real-Time FORMULA that’s been "Battle-Tested" in Up, Down & Sideways Markets that YOU can Trade with a Small Account! When ​Was ​The Last Time You ﻿﻿﻿﻿Saw﻿﻿﻿﻿ ﻿﻿﻿﻿A Strategy This Consistent? TRADE SMARTER in Today's E-Mini Market! Knowledge & Skill Set You Need to EARN a Consistent Income in the First Hour of Trading. Learn how to create your own "insiders view" of the big picture context of the market, read the market internals, determine key trading zones, and also learn advanced trading tactics and trading strategies for maximum profit with minimal risk. This program is for (day) traders like you﻿ ﻿looking to make a Consistent DAILY Income… even if you have a full-time job & trade a small account.You WILL learn how to safely & predictably profit like the professionals. Can I Trade the E-Minis if I Have a Full-Time Job? There are certain times in the morning when the market becomes incredibly predictable… those are the times where you want to capitalize on profitable trade set-ups. You only need to spend 1 to 2 hours in the morning to grow a small account, supplement your income, and/or potentially EARN a full-time income. The beauty behind the Opening Bell Income Strategy is that the same trading tactics and strategies can be applied to any market and in any timeframe so… you're definitely not limited to only trading the E-Mini futures. You can trade other markets the same way you’d trade the E-Mini S&P. Most of our students average between $125 to $375 per day trading the Opening Bell Income Strategy. What if I'm New to Trading the E-Mini S&P? YES… ABSOLUTELY! ​This program is a complete ​BLUEPRINT for knowing exactly how to make money every day the market is open in the first hour of trading. Determine the Best Entries & Exits for Your Trades so that YOU can Confidently Pull the Trigger & Execute Your Trades & Take ﻿Your Day Trading to a Higher & More Profitable Level. We want to ﻿﻿﻿help﻿﻿﻿ you eliminate any confusion that you may have about reading and understanding the ﻿﻿﻿market﻿﻿﻿ so that you can confidently pull the trigger and execute your trades. Our goal with the ﻿﻿﻿﻿Opening Bell Income Strategy ​is to help you accelerate your learning ​so you can start making money immediately - and feel comfortable in doing so. Consistently Profitable Day ﻿Trader﻿ ﻿﻿& Speed Up Your Learning TENFOLD! Leverage﻿﻿﻿ ﻿﻿﻿Over﻿﻿﻿﻿﻿﻿ ﻿﻿﻿40 Years of Professional Trading Experience to Help You Achieve Consistent DAILY Income! The Opening Bell Income Strategy ﻿﻿was created to help the average retail (day) trader, just like you, generate consistent daily income with low risk per trade. It uses the same time-tested, proven trading strategies that professional full-time traders use. So Don’t Miss Your Opportunity To PARTNER With Us! 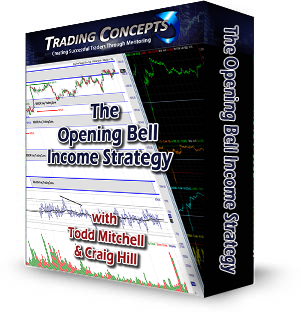 The Opening Bell Income Strategy is only open to the first 35 Traders like you… who seek to EARN Consistent Daily Income. Once all 35 membership slots are taken… the doors will close and you will miss your opportunity to PARTNER with Craig and me. If you procrastinate… your opportunity to generate DAILY Income will be gone. 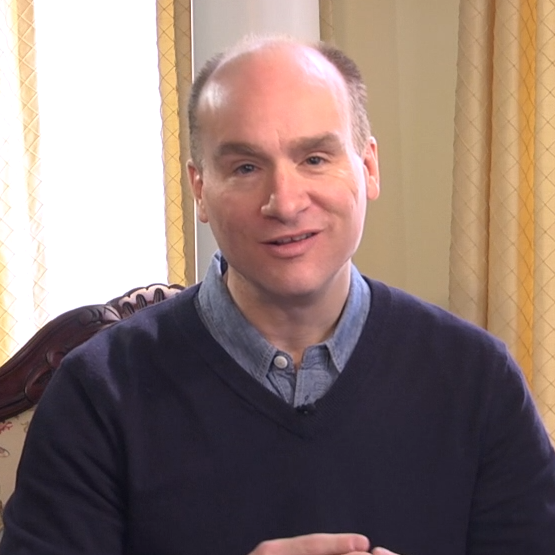 Enroll in the Opening Bell Income Strategy T​ODAY! 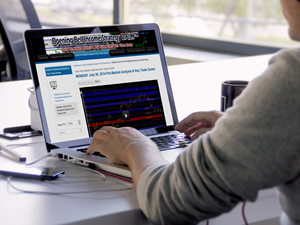 This is your opportunity to start (day) trading the E-Mini S&P 500 futures market and start generating daily income with low risk, high profit potential trades like the ones shown in the equity charts you’ve seen throughout. A​CT NOW and get instant access to the Opening Bell Income Strategy Mentoring Program before all 35 PARTNER membership slots are taken. LIMITED ONE-TIME Offer Before All 35 Spots Are Taken! ​Have a fantastic day and we hope to see you inside! Thanks so much for your insight shared each morning. This will be my second full week since joining and it is extremely helpful.